Shaun Werkele is a nationally recognized modern western square dance caller who entertains at parties with lots of drive, passion, and he is a master at effectively combining fun and great high energy music to bring social gatherings together in festive celebration, be it a corporate event, birthday party, company barbecue, camp out, a wedding or even a family gathering such as a family reunion. Social get-togethers at private parties and weddings are generally made up of guests with different levels of comfort with dancing, and Shaun specializes in choosing fantastic square dance music that will be appropriate for all, from absolute beginners to experienced dancers, children, adults, and grandparents alike. Shaun will customize and select the right tunes to suit your particular group! When Shaun calls and teaches square dance events, he strives to create a highly energetic and fun and relaxed social gathering. When Shaun calls, his style is relaxed, warm, humorous, familiar and inviting. His approach to entertaining is to select pieces of music that suit the group that he entertains for in a dynamic and energetic fashion, and he combines elements of old-time traditional square dance music, modern western square dance music, rock and roll, jazz and big-band pieces, fast-paced high energy fiddle with guitar and banjo based music, along with techno-pop stylings, presented in a way that will zing the guests onto their feet and keep them dancing all night long! Creating music with his square dance label, August Square Dance Records, Shaun has had the opportunity to work with some of the best old-time square dance musicians in the regions west of the Mississippi, and he produces and arranges and often plays guitar on his own square dance music that he releases. He even worked closely in arranging and recording with a talented local Denver, Colorado producer whose mother played piano with the original square dance band of Lloyd “Pappy” Shaw in Colorado Springs many years ago. Shaun produced the fastest square dance record with the national release of his debut square dance, “Midnight Flyer,” in 1991. A proficient musician and songwriter, Shaun writes and records original music in his spare time. Shaun Werkele calls and teaches many levels of dancing, from the very basic 10-20 figures at a square dance party to the Mainstream level, Plus level, Advanced (A-1 &A-2) to Challenge (C-1). Shaun feels that a successful square dance pulls all of the guests together to enjoy each other at their event by combining great choices of fantastic square dance music presented in a fun and energetic way along with simple yet interesting choreography figures, and this creates a party setting that allows the people to socialize in a fun dance setting without realizing they’ve had to learn a thing! Shaun Werkele started square dancing in 1973 in Denver, Colorado at the age of 12 and by age 13 he enthusiastically began learning to square dance call. Growing up, his entire family was involved in the modern western square dancing activity, and Shaun has attended many festivals locally in Colorado and numerous National Conventions throughout the years since he began square dance calling. By the age of 16, Shaun was calling at the A-2 Dance Level and was a very proficient choreographer and “sight” caller, as well. He attended college at the University of Colorado in Denver and he called all levels of modern square dance up to C-1 level during this time for various groups in the Denver Colorado Front Range. Making a change in his calling approach in the mid 1980’s, Shaun primarily started calling Mainstream and Plus Dance Levels as he started focusing on being more of an entertainer/performer and less of a high-level choreographer as a square dance caller. This interest led to the start of August Square Dance Records. 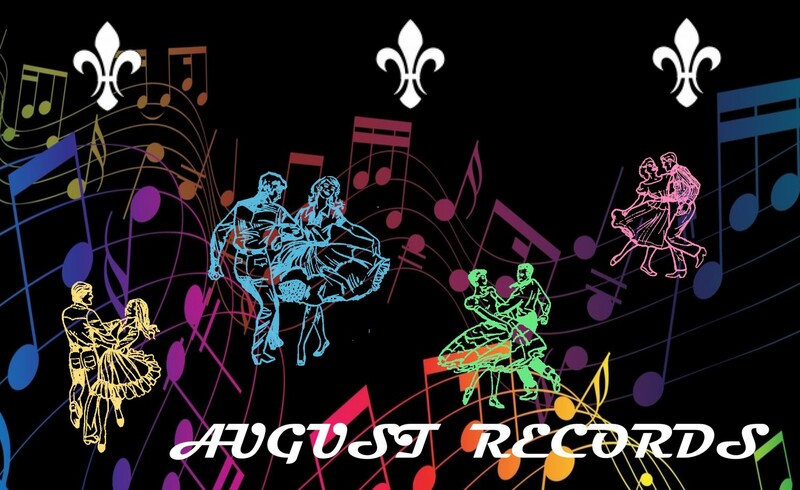 The August square dance label strives to put out great square dance music and Shaun always has new and innovative ideas percolating in his head about the music and taking square dancing further than it has been taken before. Shaun is a caller coach and he has written more educational articles and informative tips than ANY CALLER EVER HAS! The purpose in the majority of these informative articles is twofold: 1) distinguish between focused learning that is truly effective from intellectually lightweight “how to call” lessons that are all too commonly not effective 2) present ideas and approaches that are an essential tool for preparing student square dance callers to reach their educational goals and succeed in calling square dances proficiently. Contact Shaun for private coaching. He loves to teach! Shaun continues to call dances and party events in the Denver Colorado area as he travels nationally to call for clubs and at special festival events and conventions. Shaun is always working to expand his musical knowledge and choreography, in addition to his showmanship abilities, so that he can bring you the best square dancing that he can call! Interested in hiring a square dance caller that will entertain your group with a highly energetic and dynamic musical performance? Please contact Shaun Werkele, at 303-250-4735 for booking information and include your phone number and a good time to return your call. Awesome site Shaun; passed it along to my facebook friends!